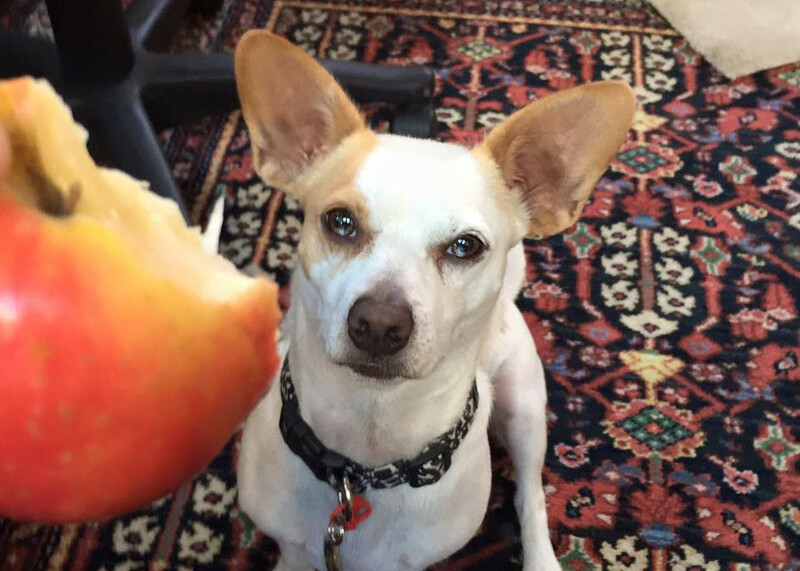 A reader asks if apple cores are toxic to her dog. 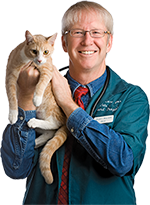 Was this important pet health information, or an excuse to write about QT Pi Becker? You decide! A: They say that an apple day keeps the doctor away, and it probably helps to keep the veterinarian away, too. Bites of apple — you probably don’t want to give a whole one all at once — are a good, low-calorie, crunchy treat for dogs. They can help to freshen a dog’s breath and are a good way to help a dieting dog feel like he’s not so deprived. Keep giving your dog apple cores without worry. Apple seeds are overhyped as being poisonous to pets. The amount of cyanide within a few seeds is so minimal that it’s really not a concern. I know of some dogs who love to steal apples right off the tree when they can reach them, or just wait for them to fall. QT Pi loves apples, especially Honeycrisps or Fujis that snap back when bitten into. How do I know this? Because I asked him, and he told me so. For variety, he likes them dusted with cinnamon or lightly dipped in Lighthouse caramel dip (three for daddy, one for son). Know that the gooey version is only an infrequent treat, and we closely monitor his calorie intake and weight to keep him at his ideal body weight. Other great, healthy “people food” treats — in moderation, of course — include bananas, blueberries, carrots, green beans, cooked sweet potatoes, cantaloupe and watermelon. A couple of dogs I know even like slices of tangerine and orange. If you ever do think your pet has eaten something toxic and you can’t reach your veterinarian, contact the ASPCA Animal Poison Control Center for life-saving advice. Find out more in this week’s Pet Connection!